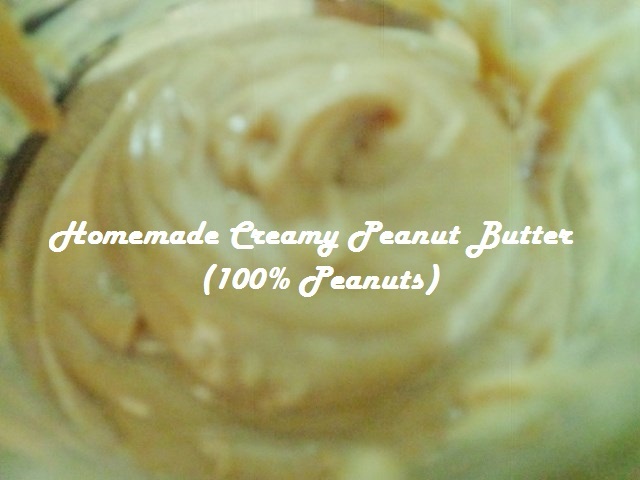 I already wrote about making homemade sweet and creamy peanut butter, but that recipe uses oil. Despite my love for its taste, I have grown tired of stirring every time I want to make a peanut butter and strawberry jam sandwich. This new recipe is simple, just 1 ingredient, peanuts! You can use any type of peanuts you want; organic raw, salted, roasted, honey roasted, spicy… it’s up to you. You can also add a variety of flavors to it: honey, cinnamon, nutmeg, chocolate powder (peanuts aren’t naturally sweet, so you will have to add honey, stevia, or agave to taste if you want this peanut butter to have more of a store bought flavor). You simply place the peanuts in your high-speed blender (I love my Vitamix) or food processor. And blend on the highest setting until it becomes nice and creamy. 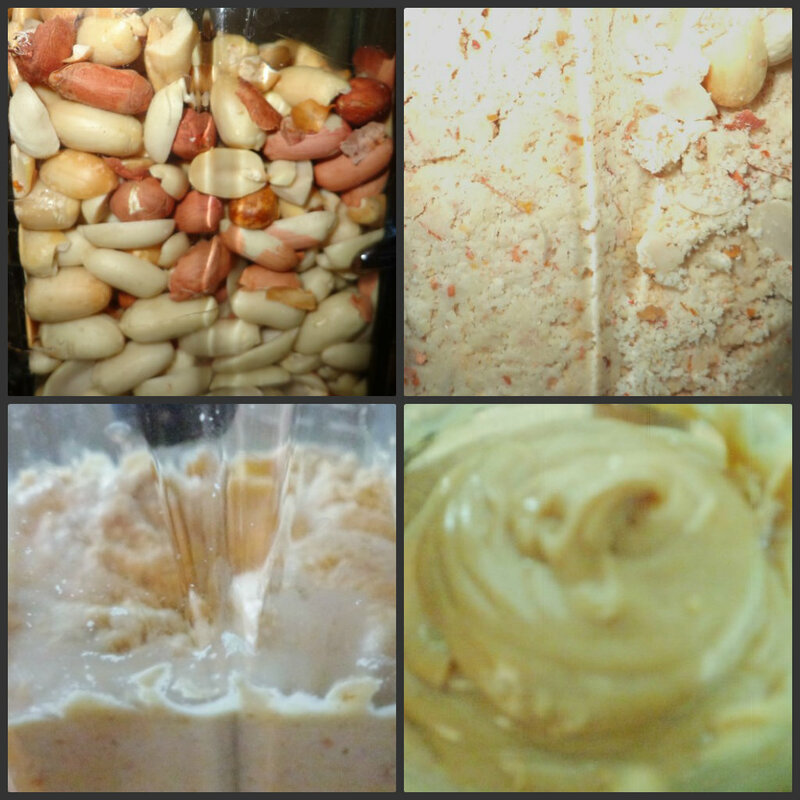 The peanuts will first become a powder, then look similar to dough sticking to the side, then a thicker peanut butter consistency, finally it will become very creamy. The peanut butter will be warm and slightly steaming when it is perfect. You will not have to worry about oil separation when storing with natural peanut butter. A creamy peanut butter recipe that's all natural and can have seasonings added for flavor or added sweetness. 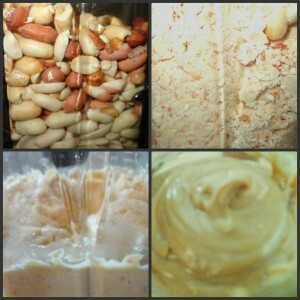 Place peanuts in your blender or food processor. Blend on high until peanuts are creamy and warm (about 5 minutes). If it isn't thick enough for your liking keep in fridge, otherwise store in a cool dark place.